Excellent project, you have a wonderful future. I send airdrop form ! First Airdrop - some spots are still open! The first 1000 people that will follow these rules will receive 500 Bellavita Token. Please make sure to use a personal Waves address, not an exchange address! Today we selected 1000 active traders on WavesDex and we sent each of them 100 Bellavita Tokens. This is another step to increase awareness for the project, and will be the entry point for a sort of POS for Bellavita holders, that will be announced in 4 weeks. We are finalizing the idea to reward holders of Bellavita Token. The minimum holding amount will be 1000 tokens, so make your calculations while trading on the Dex. Please fill out the form in the opening post to partecipate in the airdrop. Thanks! Four more days to enter the airdrop, then the form will be closed on Feb 28th and airdrop terminated. Please make sure to follow the rules to enter the airdrop. 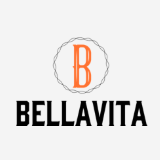 Early March we will announce the rules for POS: minimum holding requirement will be only 1000 Bellavita!